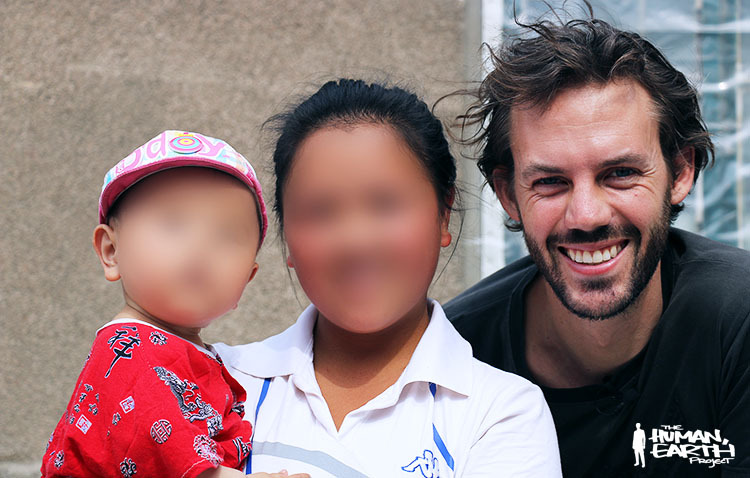 In 2010, while living in the mountains of northern Vietnam, I became friends with a teenaged Hmong girl named M.
The following year M was abducted, and was believed trafficked to China for sale as a bride or prostitute. Last year, I finally succeeded in contacting, locating and meeting with M in China, where she had indeed been sold as a bride to a local man. Given a freedom she had been denied for almost three years, M faced a decision no mother should ever have to make: the choice between her Chinese-born child and her own freedom. Caught between a controlling “husband” in China and an unsupportive family in Vietnam, M sacrificed her own desire to return home for the sake of her child in China. While others in Vietnam gave up on her, I stayed in contact with M for another six months, doing all I could to encourage her and present her with better alternatives. I felt it was important that M return to Vietnam, if only to make her decision from a position of freedom and safety. Arrangements could be made so that M could bring her child to Vietnam, legally or otherwise, and so that M would not be dependent on her family. M’s response, however, was always the same. She very much wanted to return home, and regularly announced her imminent intention to do so – yet nothing happened. M seemed to be waiting for the permission of her Chinese “husband” – a permission I was certain she would never obtain. By April this year – with my own options limited by rapidly decreasing funds, emotional exhaustion, and other commitments – I could find no further options for M.
I began calling her less regularly, focusing instead on post-production of Sisters For Sale, a feature-length documentary to draw attention to the plight of M and others like her. Last month, however, while I was busy fine-tuning the documentary script, the story itself was changing. It has been more than a year now since I met with M in China. After having done all I could in that time to encourage her, I see now that M never lacked for courage; it was only I that lacked faith and patience. Just when M’s story seemed all but over, it held a few more twists for all of us. What I had long considered impossible did at last happen. M’s Chinese “husband” did in fact allow her to visit her family in Vietnam – and that’s the least remarkable thing in an incredible series of events which has been unfolding in China over the past month. This unforeseen chapter has become one of the most exciting of the entire story. I stand in awe of what M has achieved this month with her bravery, wits and strength of will, and look forward to sharing what I’m able. Stay tuned and – if you haven’t already – subscribe here to receive all the news from The Human, Earth Project.